In the last article Auto Add/Remove Permission Set – Part 1 I have gone through the way to automate Assign Permission Sets process based on user defined criteria. In this article I will discuss a way to automate Unassign Permission Sets based on criteria. Management in Universal Container wants to automate permission set removal or Unassigned process so that their admin workload will be reduced. 8) Save the flow with name Remove Permission Set and close the canvas. 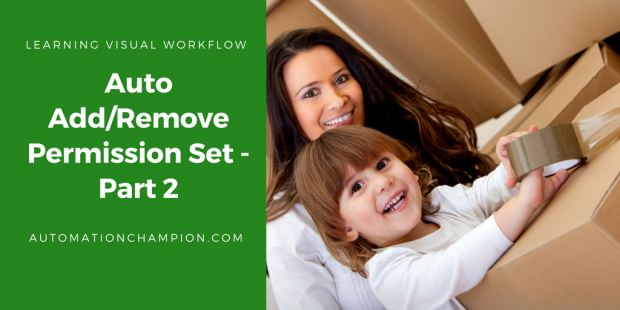 8) Add one Immediate Workflow Actions i.e. New Field Update and Set Remove flag to False. Note: -I will suggest you Implement this first on your developer org test it and then move it to Production. Let me know if you have any difficulty to Implement it.